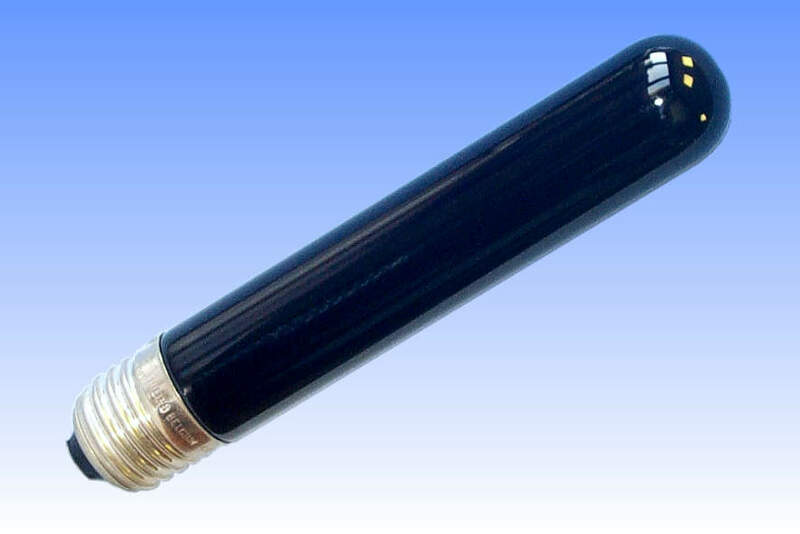 The TW6 is a small cold-cathode lamp which is a convenient source of UV-A radiation that can be connected directly to the 220-240V mains electricity supply. Its construction is virtually identical to the TUV6 Germicidal lamp, the only difference being in the design of the glass envelope. The mercury discharge radiates the bulk of its energy in the UV-C region at 253.7nm, and to produce an efective Blacklight lamp which must radiate instead in the UV-A region, a phosphor coating is required. This is applied to the inner surface of the glass bulb, and may be either Strontium tetraborate activated by europium, or Barium disilicate with activator of lead. These convert the 253.7nm radiation into 366 and 352nm respectively. It is not certain which of these two phosphors is employed in the TW6 lamp. The bulb is made from nickel-doped Woods glass which blocks the transmission of shortwave UV and most visible wavelengths. Because of the low emission from the cold cathodes they are physically large. To maximise the surface area they are formed in a cup shape, most likely from a metal such as aluminium which has a low rate of sputtering. Ballasting the discharge is effected by a small wirewound resistance inside the cap. Since the usual glowbottle starters cannot be used with a resistor ballast, the lamp is started by means of a neon-argon Penning gas filling at a pressure of 1000 Pa, combined with an auxiliary electrode. 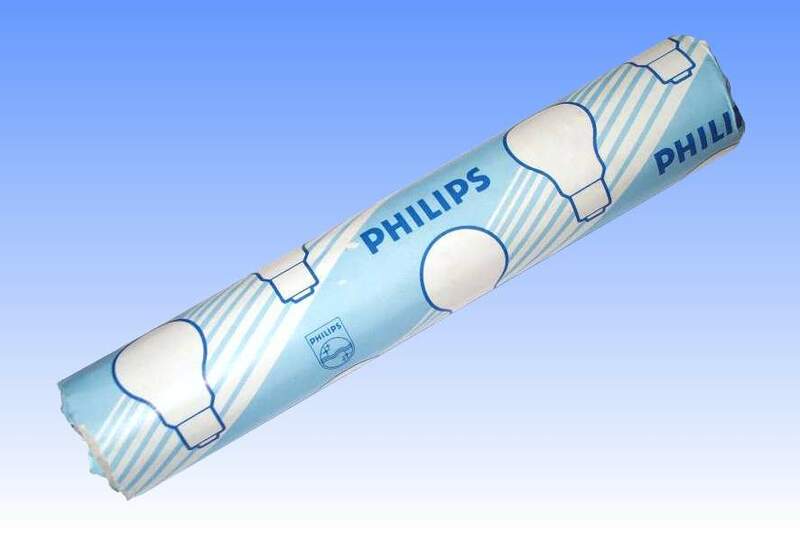 This takes the form of a graphite coating on the surface of a glass sleeve around the wire that supplies the upper electrode, and it is connected to the lower electrode via a high resistance which is mounted inside the bulb near to the cap.